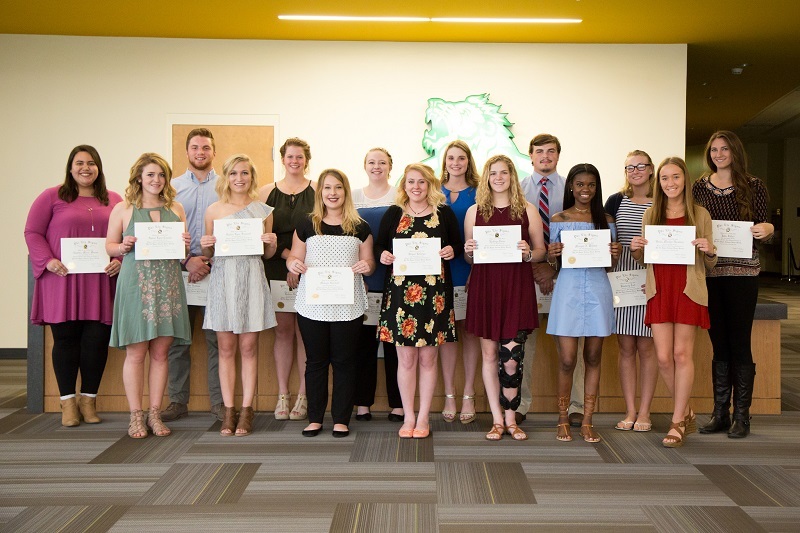 Twenty students were formally initiated into the Phi Eta Sigma honor society chapter during a ceremony held April 13 at Missouri Southern. Phi Eta Sigma is the oldest and largest freshman honor society in the nation. It was founded in 1923 and now has more than 375,000 chapters. Inspired by the past and dedicated to the future, the society’s mission is to encourage and reward academic excellence among freshmen in institutions of higher learning. To qualify for membership, full-time first year students must attain a 3.5 cumulative GPA during either the fall or spring semester of their first year. Membership is by invitation only. Once students pledge membership to Phi Eta Sigma, they are members for life. All new members receive a certificate of membership, a lapel pin or key chain, a Phi Eta Sigma T-shirt and a forum book.